What has Dumfries and Galloway contributed to Innovation, Architecture and Design (IAD) ? 2016 is the Visit Scotland Year of Innovation Architecture and Design. This year Visit Scotland have been celebrating the Year of Innovation, Architecture and Design. At the launch of the first #LoveDandG Hour we asked the question what has D&G contributed to Innovation, Architecture and Design? 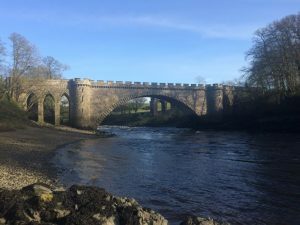 We were overwhelmed with the responses from everyone and it is clear that Dumfries and Galloway has contributed positively to Innovation, Architecture and Design. Below we have highlighted just 10 of the ways that D&G has contributed to Innovation, Architecture and Design. All of these suggestions were made by our contributors to the recent #LoveDandG Hour. 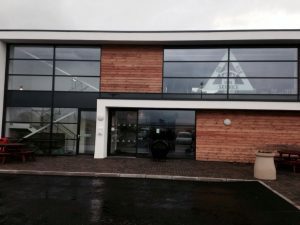 A fantastic new state of the art interactive museum exploring what it was like to work at HM Factory Gretna. By 1917 the nine mile long factory here that employed 30,000 was producing 1,100 tons of cordite per week. This was more ammunition than all the other plants in Britain combined and provided much needed arsenal for the troops who were fighting on the front line. Definitely worth a visit for anyone interested in the First World War and in particular in the role that women had to play in the war. 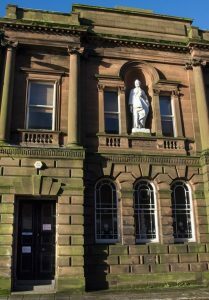 The local engineer from Westerkirk, Langholm who helped drive forward the UK’s Industrial Revolution. The “colossus of roads” designed many of the countries finest and most important bridges. 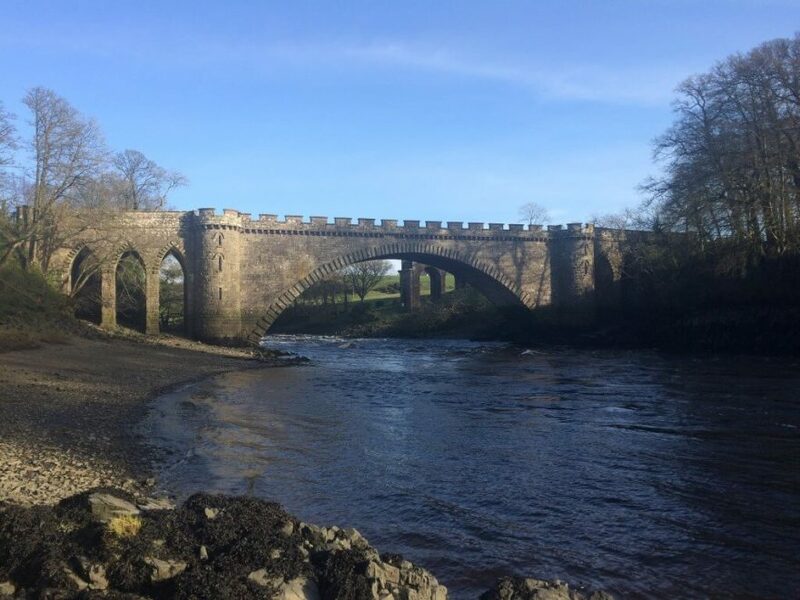 Pictured below is one of our favourite bridges , the Tongland Bridge at Tongland near Kirkcudbright. 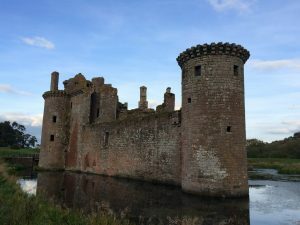 Caerlaverock Castle is one of Scotland’s greatest medieval fortresses and one of only two triangular castles in Europe. The stronghold of the Maxwell family, this medieval fortress is well worth exploring. Built in the late 1200’s this castle has had a turbulent history and damage caused during the Wars of Independence meant this stronghold has undergone extensive reconstruction. From the defensive castle built in the late 1200’s with a double moat and double gatehouse through to the impressive Nithsdale Lodging completed in 1634, this castle is a great example of how design and architecture evolved across 400 years. 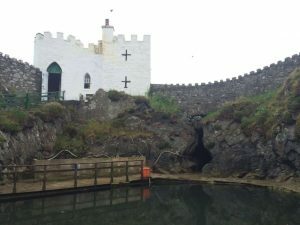 Dating back to the 1800s Logan Fishpond is said to be the UK’s if not the worlds oldest and most unique natural marine aquariums. A visit here is well worth it. Visitors can view a wide range of fish and marine life and even feed them by hand. The Fishpond can be found in the picturesque village of Port Logan where there is also plenty of stunning views and a beautiful sandy beach to take in while visiting. 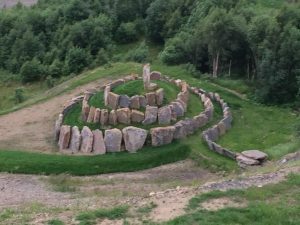 The Crawick Multiverse is a spectacular artland just outside of Sanquhar which utilises landscape art to transform a former open cast coal mine into an outdoor space that can be enjoyed by everyone. Funded by the Duke of Buccleuch this landart which links the themes of space, astronomy and cosmology is another of Charles Jencks creative works. Born in 1812 and the son of a Blacksmith Kirkpatrick MacMillan can take credit for inventing the first ever pedal bicycle. By 1824 he had started working with his father and this would have given him an insight into metal work and the use of mechanical devices. 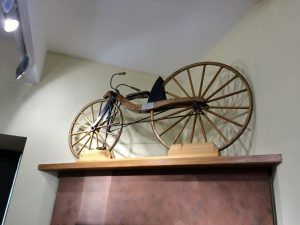 During his time working in the Smiddy he had become intrigued by the hobby horse, a two wheeled vehicle that was propelled by pushing your feet on the ground. He decided to make himself one but very quickly realised that this could be improved further if he could find some way to propel this mode of transport without actually putting his feet on the ground. By 1839 he had completed his machine and had in effect created the first pedal bicycle. He died in his hometown in 1878 and he is buried in the old Churchyard at Keir Mill. Henry Duncan was an incredible man and definitely has pride of place on our Heroes and Heroines Tour. The Minister of the Parish of Ruthwell who is renowned for helping the poor. From his cottage he distributed food to the parishioners and it was in the same building in 1810 that he was to launch the savings bank movement. Dr Henry Duncan was also a newspaper editor and publisher and he is known world-wide for his restoration of the medieval Ruthwell Cross. Finally, as if all of that wasn’t enough geologists know him as the first person in Britain to identify fossil footprints! Although it lies in ruin this stunning 12th Century Abbey was home to Cistercian Monks for almost 400 years. This Abbey has some of the best preserved 12th Century architecture. 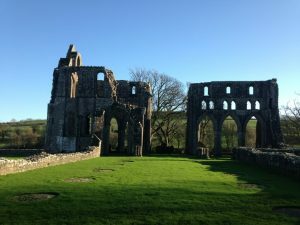 Dundrennan Abbey is also famously known for being the place where Mary Queen of Scots spent her last few hours in Scotland which makes this a building that is well worth a visit! Born in Ayr in 1756 John Loudon McAdam is the Scottish inventor of the macadam road surface. 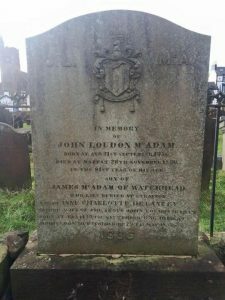 McAdam died at the age of nearly 80 on 26 November 1836, and was buried locally in Moffat Cemetery. James Clerk Maxwell was considered by Einstein as the “father of Modern Physics”. Maxwell was raised locally at Corsock and after a prestigious career was buried close to where he grew up at Parton. 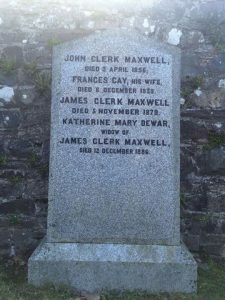 James Clerk Maxwell (1831-1879) is believed to be one of the greatest scientists who ever lived and many scientists argue that we owe him the most significant discovery of our age- the theory of electromagnetism. This months #LoveDandG Hour takes place on Thursday 27th October 9-10pm on Twitter and the theme is Autumn in D&G. We hope that you can join us on the night to help promote Dumfries and Galloway!